I’ve never been a huge fan of acronyms. IMHO they have the potential to exclude, rather than clarify. However, the latest ‘buzz’ assessment acronym in the Bellevue Group, ‘PAPA,’ serves to keep us all in mind of the real purpose of assessment, and the large spectrum of data we can use to make sure we are doing the very best for each and every child. So how do we measure and record these? At Brabyns we have a variety of systems in place to help us build and record an accurate picture of each child. Of course, it all starts with our knowledge of the children, and our day-to-day interactions with them as individuals. FYI we have recently changed the software we use to record children’s daily learning events – from the EYFS right through to Year 6. 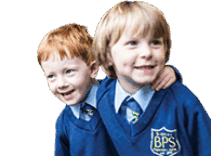 The new system, ‘Pupil Asset,’ has the capacity for us to keep detailed records of daily progress, enabling us to easily see which children need a little extra support or challenge in any given topic area. 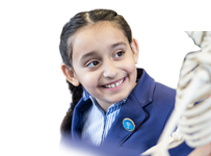 Its ‘USP’ is that for each pupil we can see their previous attainment in formal tests, their progress ‘flightpath,’ and the results of Cognitive Ability Tests (CAT) (from Year 2) and PASS questionnaires (Pupil Attitudes to School and Self). CAT tests assess the children’s overall intelligence, developed abilities and likely academic potential. These are very accurate indicators of children’s potential, and as such provide us with very important markers for what we can reasonably expect of every child. 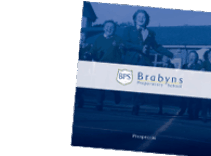 They help us to work with parents to consider which schools would best suit each child after their time at Brabyns. The CAT data is so highly developed and tested that we are able to begin these conversations in Key Stage 1. Where a child is not attaining academically in line with their CAT results (reaching their potential), we can begin to look at a range of factors that may be at play. Which brings me to the final ‘A.’ ‘Attitude’ tends to suggest either ‘good’ or ‘bad’ and I can safely say that at Brabyns we are privileged to have children with good attitudes. Better perhaps would be ‘I’ for ‘Independence’ or ‘R’ for Resilience. These learning attributes are the most difficult to ‘teach’ yet the most important for success, and they begin at the very core of everyday life. They are developed when children dress themselves, prepare their school bags, clear up their breakfast dishes, try (try and try again) to ride a bike, clean their teeth without being reminded, organise their homework and leisure time etc. These are the skills that ‘spill over’ into the classroom and help to develop robust learners who choose to learn, choose to keep trying a difficult challenge, and choose to be proactive. They reach their potential and experience great intrinsic rewards as a result. PAPA/PAPIR – whatever the acronym, TYVM for reading!